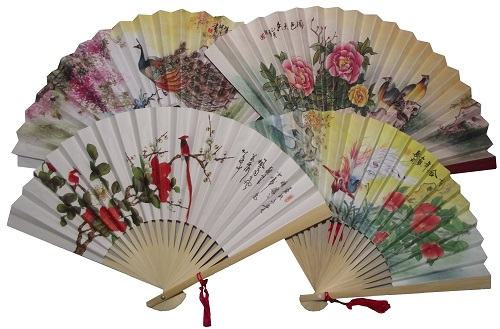 Chinese paper fans decorated with oriental patterns including colourful birds, blossoms, and landscape scenery. 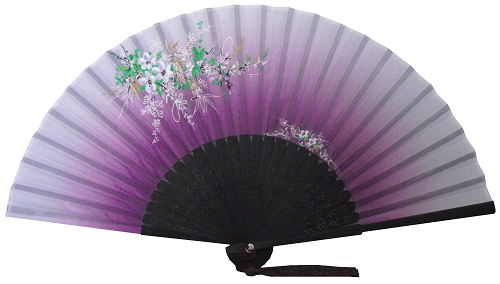 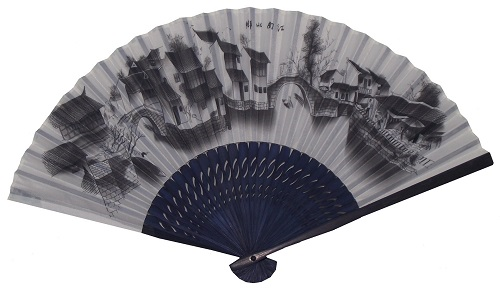 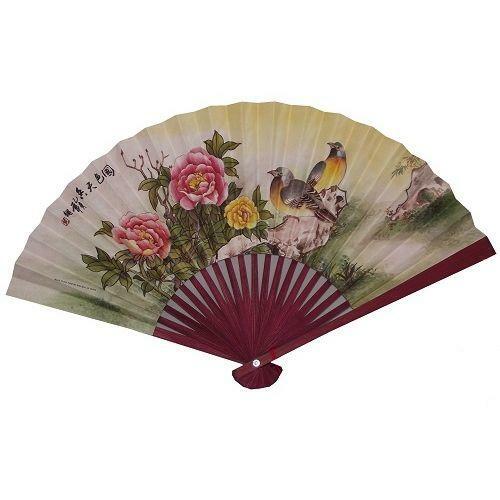 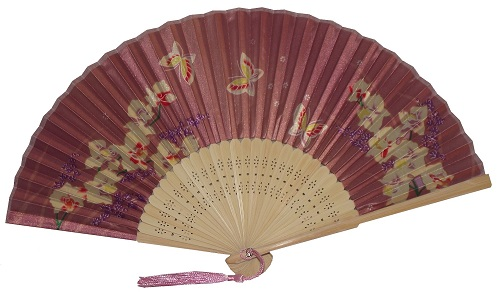 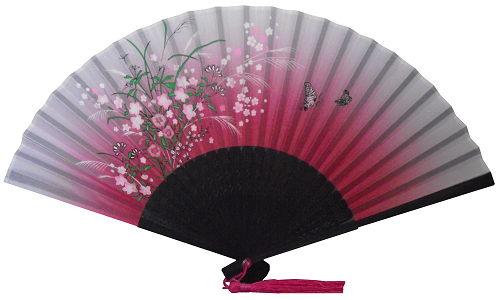 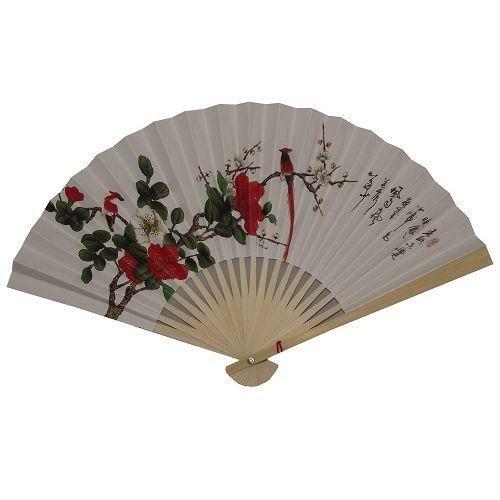 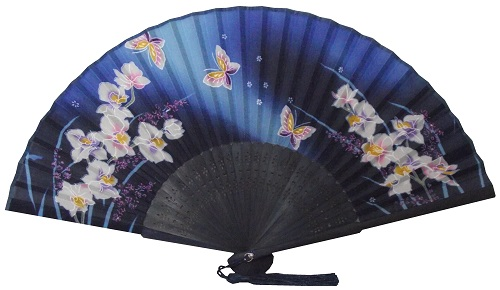 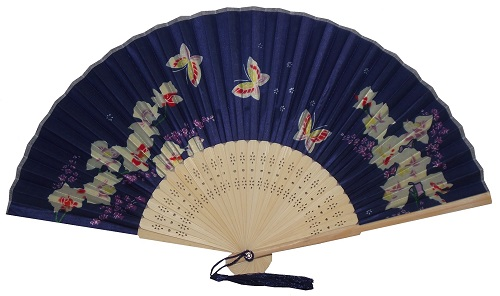 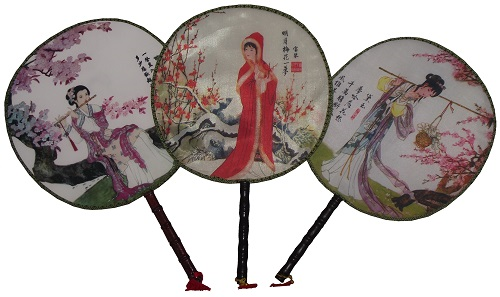 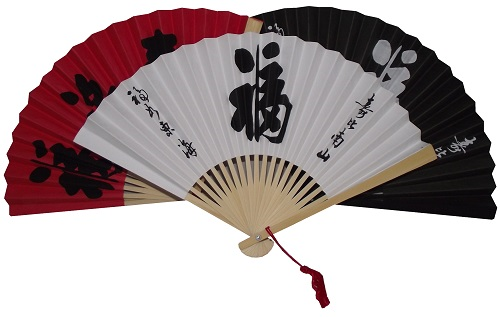 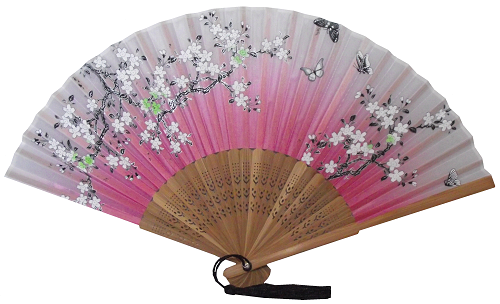 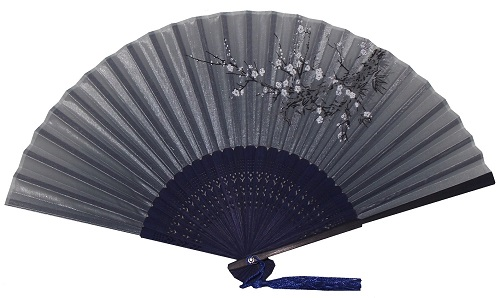 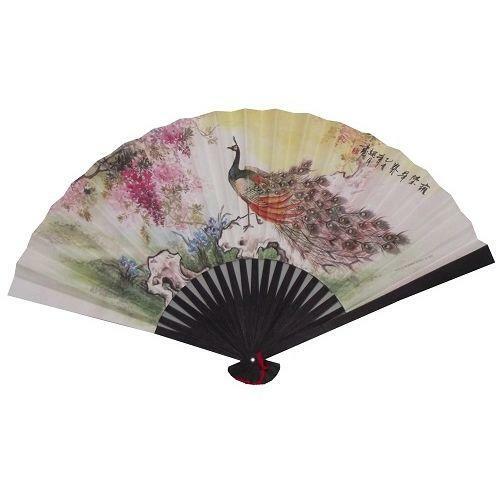 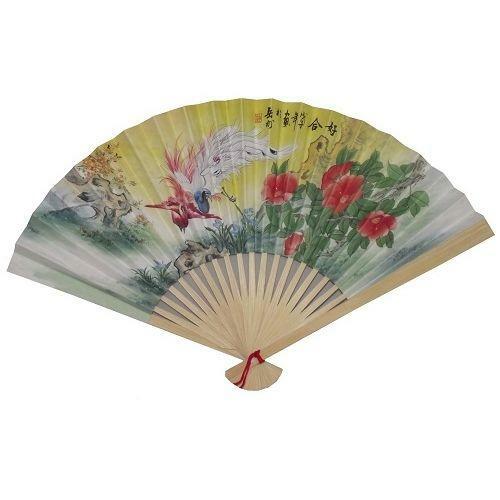 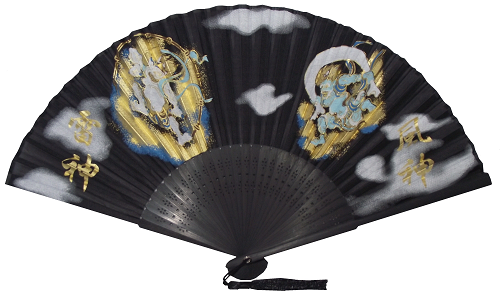 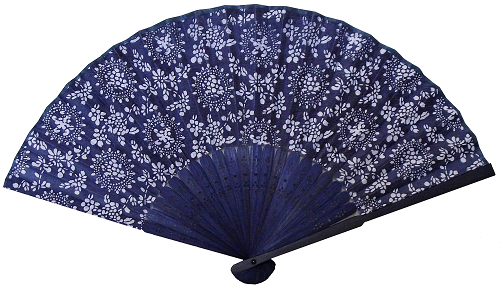 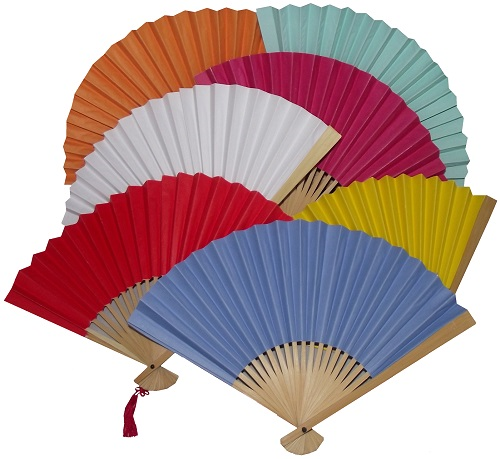 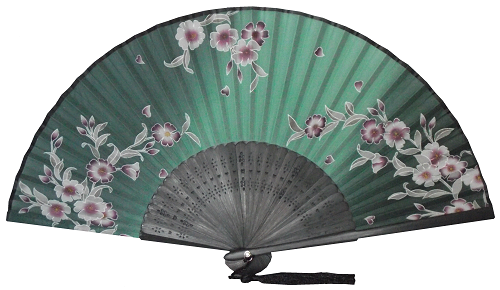 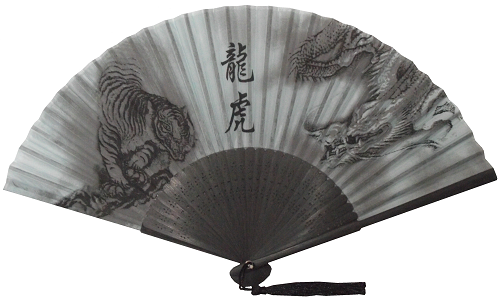 With a 30cm radius when fully opened, the folding Chinese paper fans are ideal for keeping cool on a summer day, and also as ornamental display items. 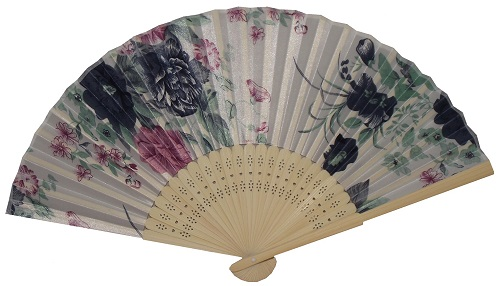 We will send a selection of different patterns when you place your order. 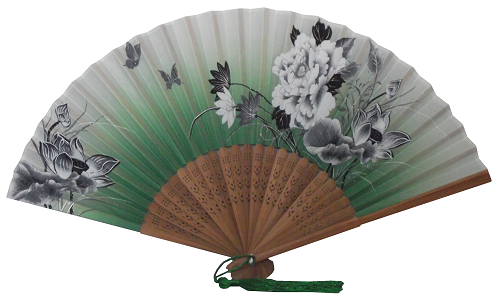 The fans in the images are a small example of our available range. 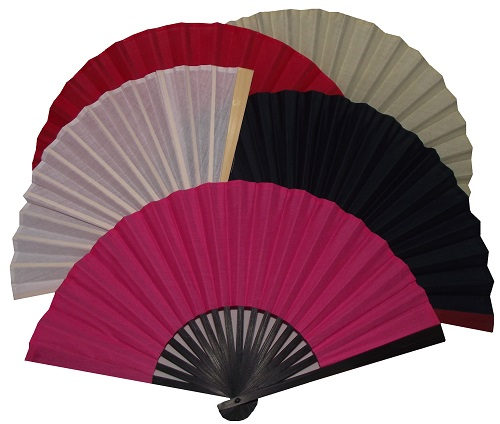 The fans you receive may differ from these examples.